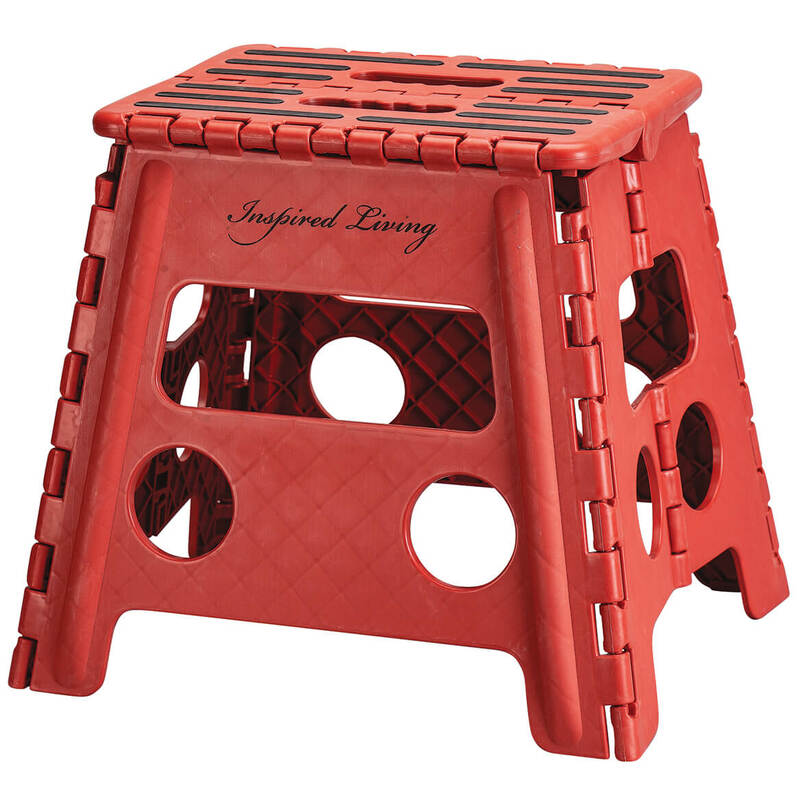 Excellent price for a very good quality step stool. I ordered this about 2-weeks ago. I wanted it to reach my jeans on a shelf in my closet. After I received it, I tried it and was delighted! It was easy to step on to, the perfect height, and folds up so Easy and Flat, that I can leave it in my closet till the next I need it! Use to reach things in cabinets, etc. I can actually see in and reach the top shelves in my Kitchen. I have a shorter step stool that helps me but this is so much better! 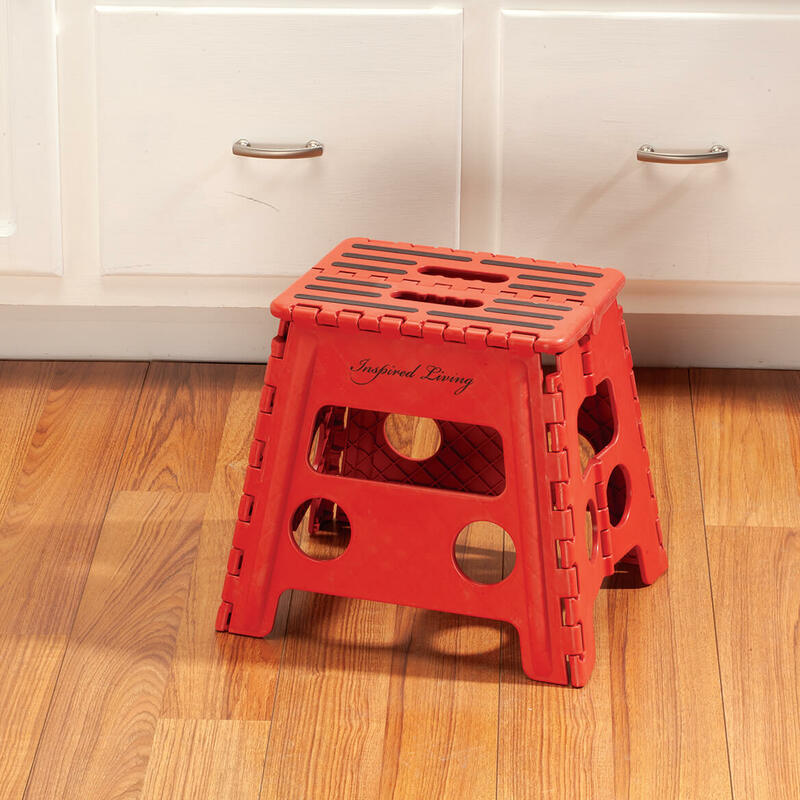 Very sturdy step stool. Folds and unfolds easily. The extra 4 inches over the smaller one gives me just enough extra height, because I'm short! Would buy again. 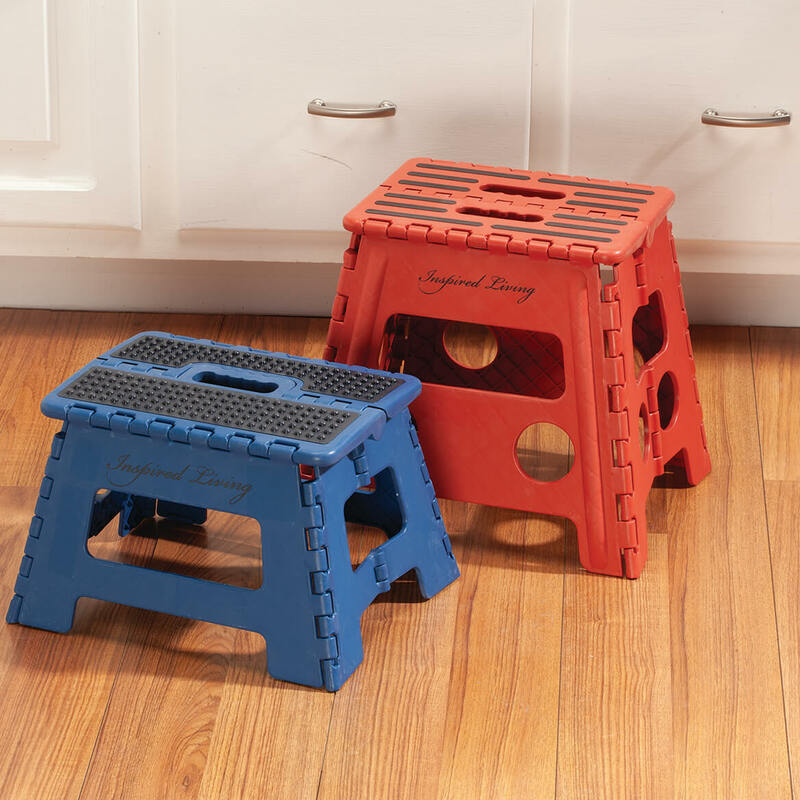 It's a very sturdy step stool, I don't have to get my step ladder out for everything, very easy store and convenient to use. This is a gift for a person with a small apartment. It's very sturdy, and the red is visible. Sturdy & ease to open & close. recommend this product. I bought two of them and turned right around and bought two more for gifts, they love them. GOOD FOR REACHING TOP SHELVES IN CABINETS. It meets my height requirement. Looks sturdy. Liked color, height and folds nicely so I can store it flat. This is the second one I purchased. Good height, liked color, pricing comparable to other sites. Because I needed a stool which was a little higher to sit on. I needed something portable and collapsible to put in a bedroom closet. To be able to pull it out in a jiffy use it and then put it away without being in the way. To help reach areas we can't reach without assistance. Eliminates carrying a step ladder up and down steps. Buying 2 step stools; one for upstairs and one for downstairs. I have a lifted pickup and folks need an extra step to get in easily. 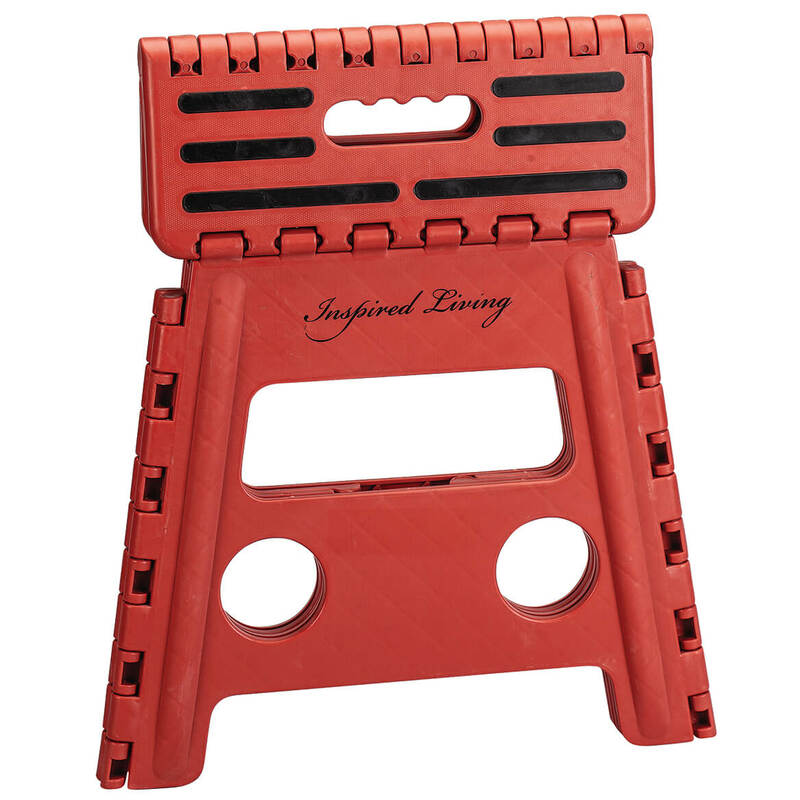 The weight it can accommodate and it being able to fold up when not in use. Lighter and easier to store than a 2-step ladder. I have one of this itm but is shorter and i want this because it is higher.